The C&C Gallery looks at the big picture of a C&C education. These photos of day-to-day life at C&C show the common threads that are woven through our programs and across the ages. 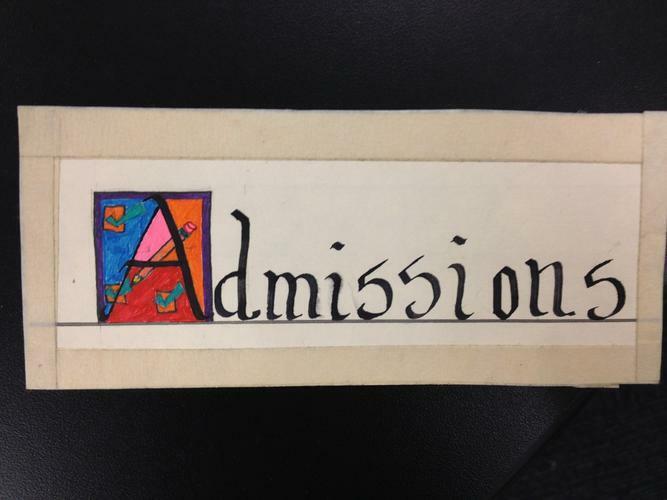 Explore this inaugural exhibit on the students' work with illustrated signs to gain a new perspective on the big impact of a truly progressive education. “No one can observe the children working their way through the experiences described, without realizing that they are departing from the dictative, the imitative, and striking out into new and interesting trails of their own. Besides this, they are beginning to become adult in their ability to concentrate, to initiate, to beautify their surroundings, to adjust their relationships.” - Caroline Pratt, "Making Environment Meaningful"
From their earliest days in the Lower School, C&C children express themselves through the drawings and signs that adorn their classrooms and block constructions. 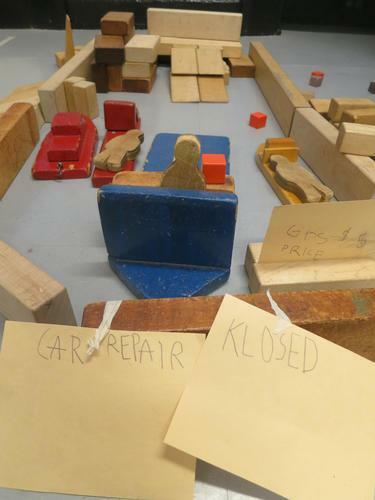 This experience communicating and problem solving with visual tools builds and comes to a fine point when the children begin their 10s job as the School sign makers: designing and creating the official signage for the School. 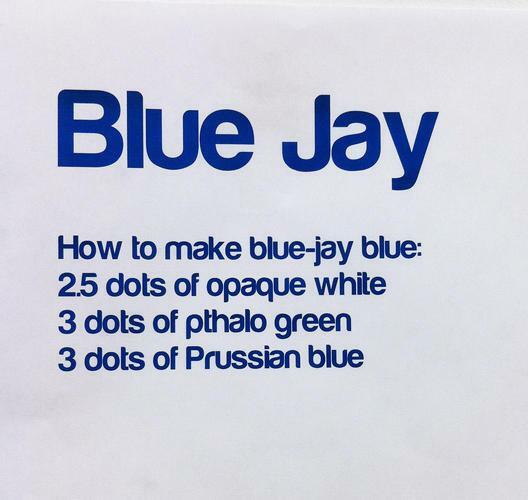 Door signs, hall signs, community advertising, rules of the school, and much more are processed by the 10s each year, in their own unique way, tying in beautifully with their study of the advent of the written word. 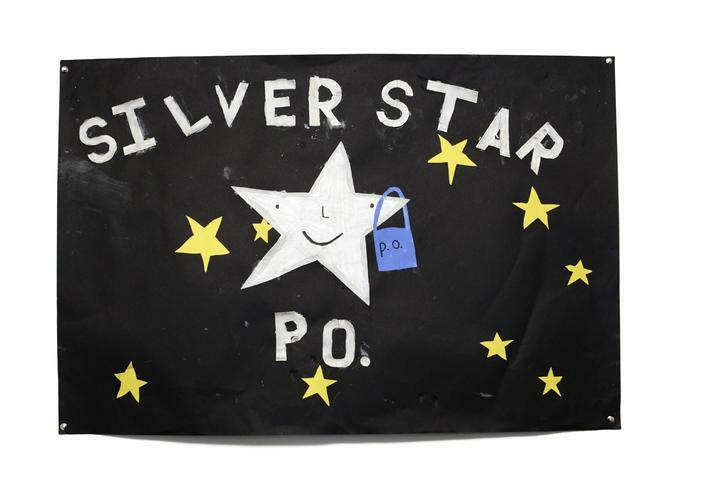 An 8s' designed and executed sign featuring their group’s Post Office name and logo. 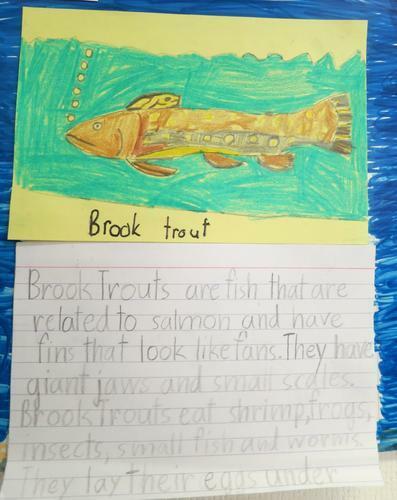 A Library sign, identifying frequently researched subject areas, made by the 10s. The 10s create custom signs for any space, which inevitably speak to the inherent values of a C&C education. Here: environmental awareness and responsibility. A sign outside of the 5s Room includes an image of their iconic wood bench and block shelves. 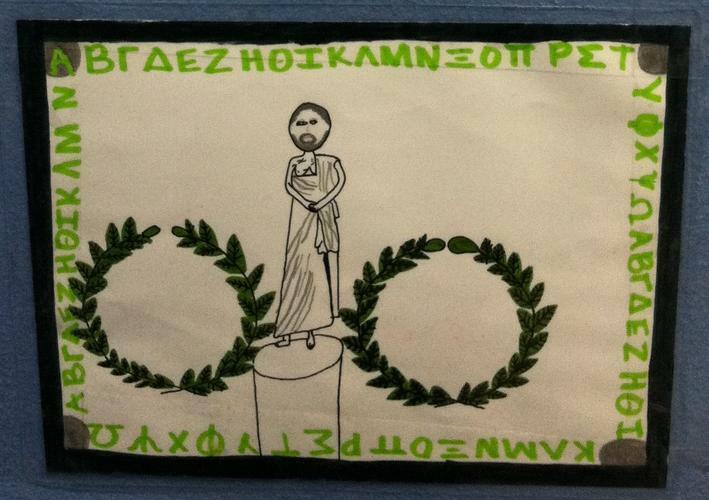 The 12s Room sign reflects their study of Ancient Greece. 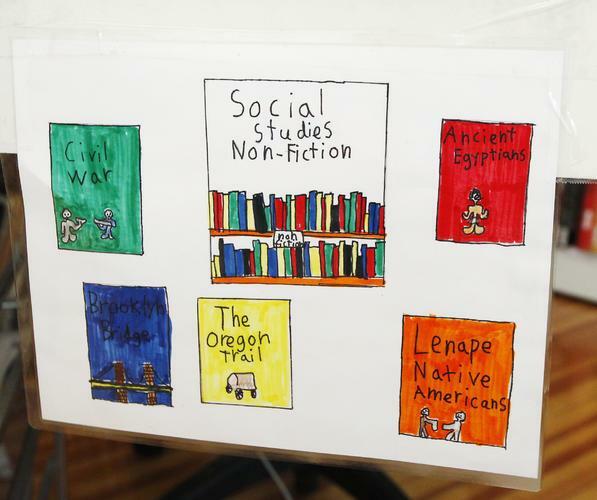 In-depth explorations of Social Studies topics occur in a carefully designed, age-appropriate sequence and serve as a jumping-off point for virtually all other subjects during the school year. 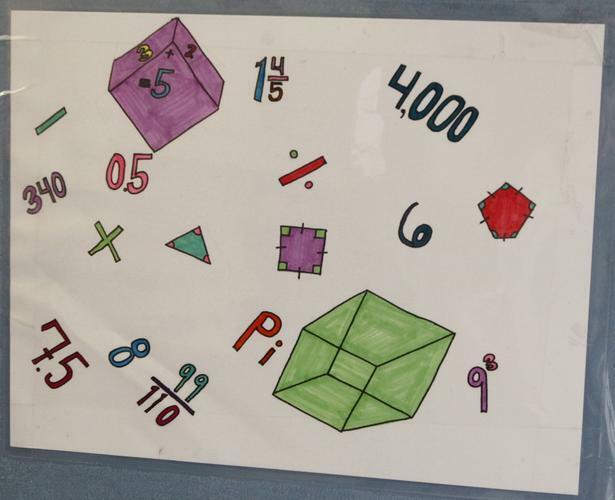 The sign on the Math Specialists' door covers all the numeric essentials. 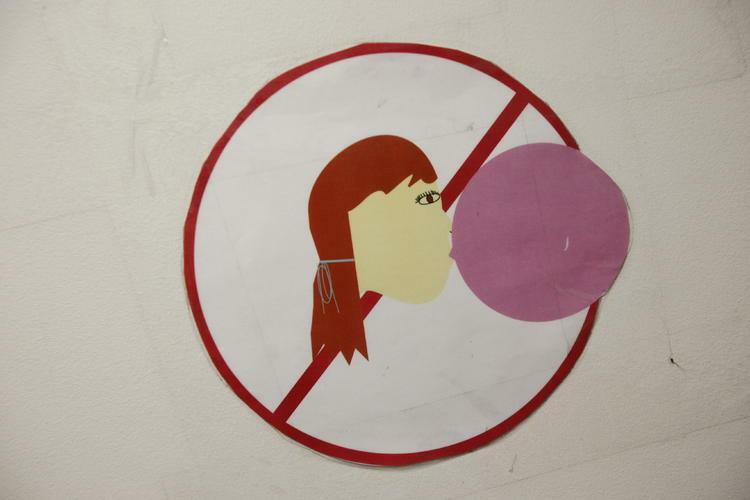 The 10s create door signs for every office and every classroom. Reminders about school rules are creatively communicated by the 10s for every kind of reader: the fully literate and those still learning. 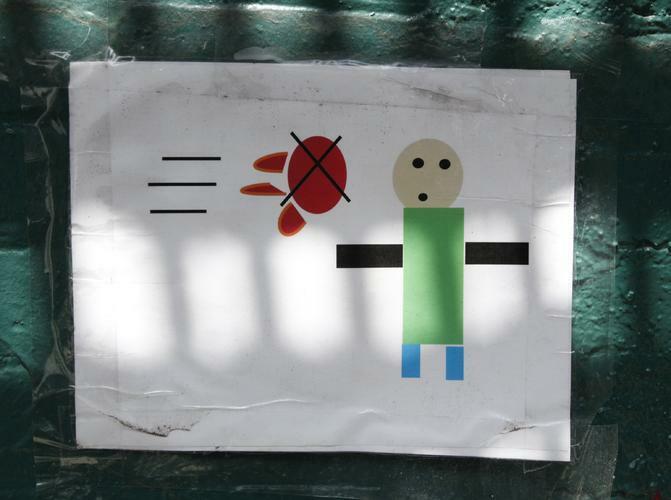 Reminders about safety are posted in every relevant place, including outside spaces, such as the popular and oft-frequented Yard. The 5s complete their garage with informative signage. 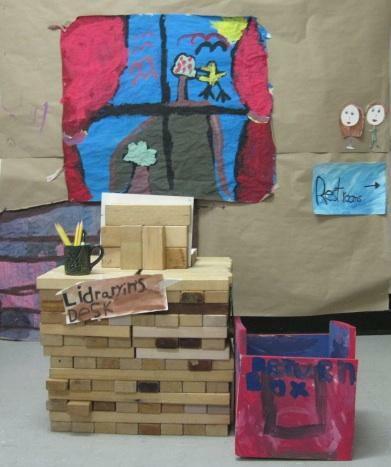 The 6s create a Library made from blocks, using signs and symbols to guide their visitors. 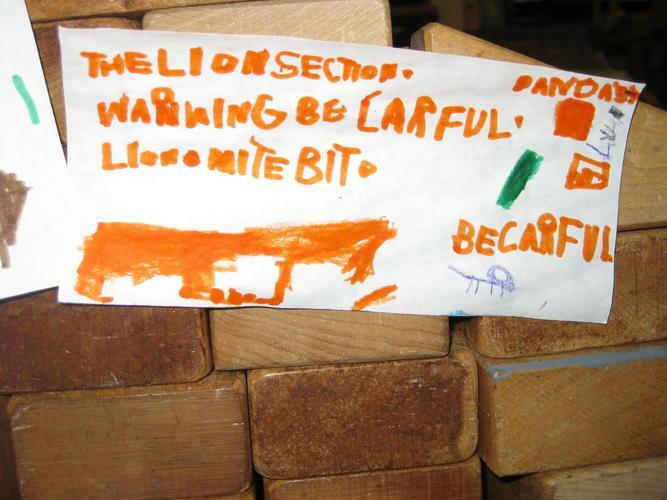 A zoo made in blocks includes warning signs of dangerous animals. 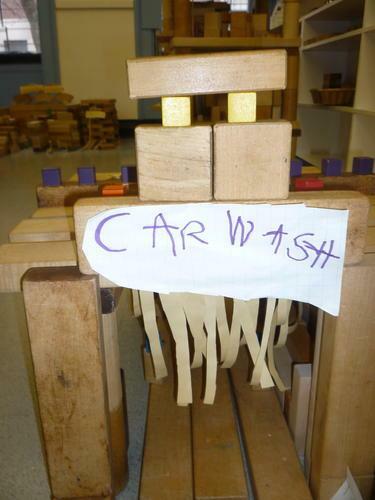 The 5s publicize their car wash with a prominent sign. 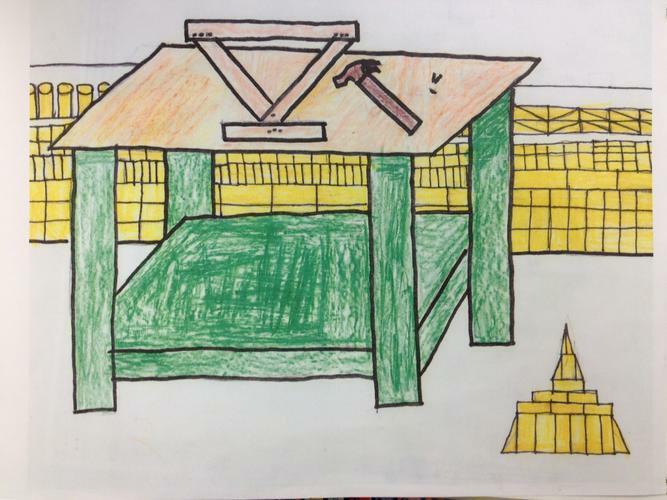 City and Country's expansive, light-filled classrooms are filled with the work of children. Signs, charts, banners, and maps are visual representations that reflect the children’s research, work organization, and developing ideas. Organizing their thoughts visually provides a new way to look at their learning, and often a way to look at a question from a distance. 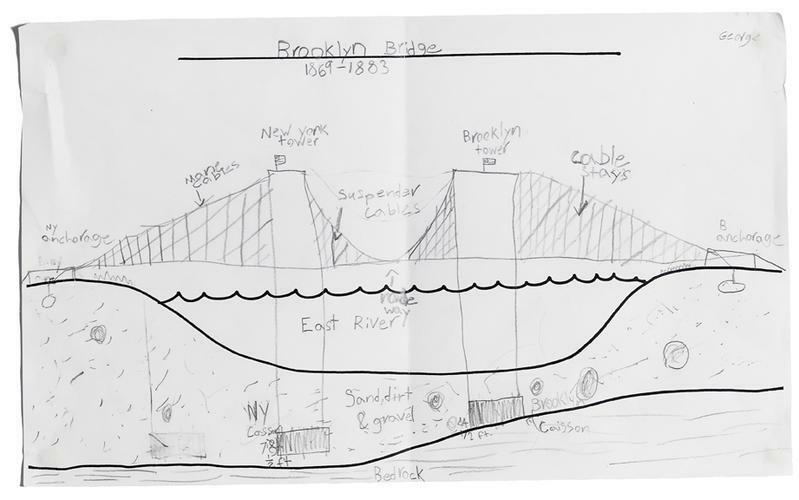 The 7s research the components of the Brooklyn Bridge as they prepare to build it in blocks. The 10s create a scale map of the Mediterranean Basin through work with grids in Math. 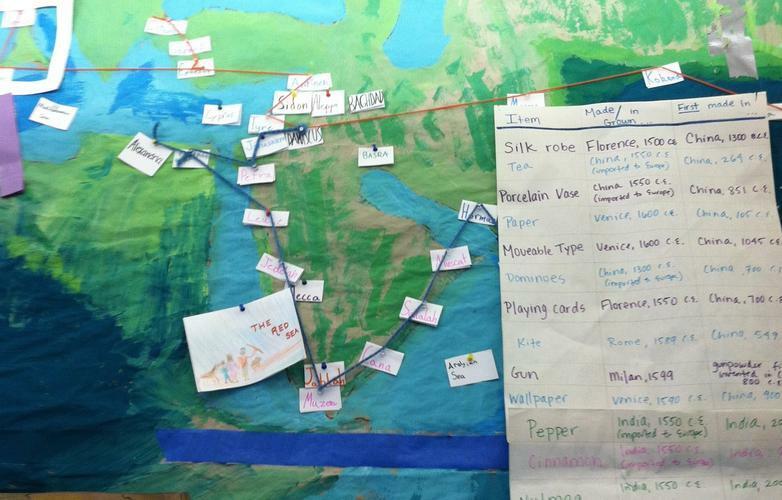 An 11s-made map of the Silk Road includes information about the goods found along the route. 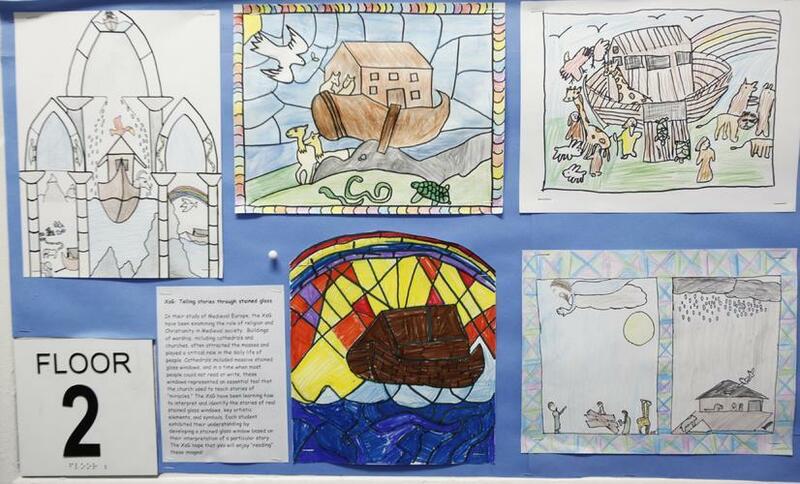 The 10s interpret the Christian stories of medieval Europe, utilizing the symbolism and artistic elements of the stained glass used during that period. 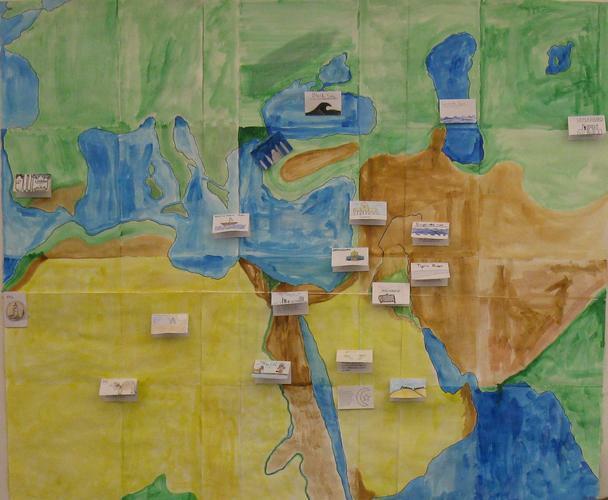 A 10s-created map of Europe, North Africa and the Middle East includes information on important places and goods. 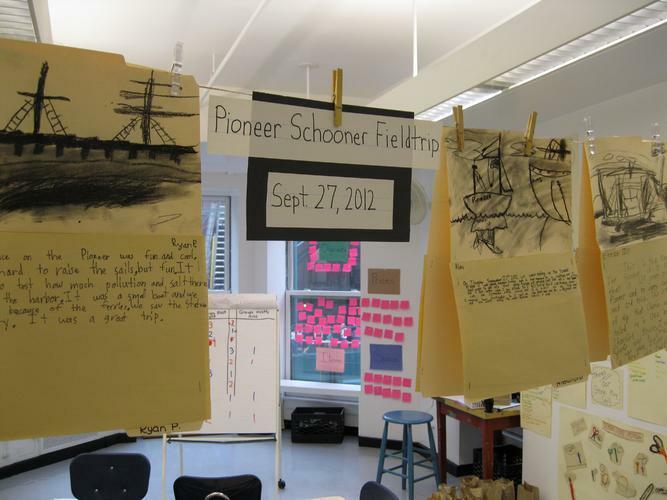 The 9s share their observations and impressions from a trip to the Pioneer Schooner. The 8s study the environment of Manhattan 300 years ago and visually share their knowledge with each other. 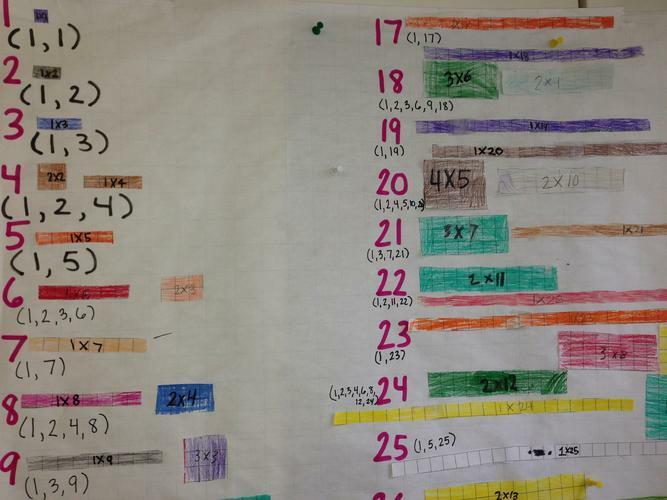 This visual representation of multiplication and factor "arrays" in a 9s room provides a tangible representation of an abstract algorithm. 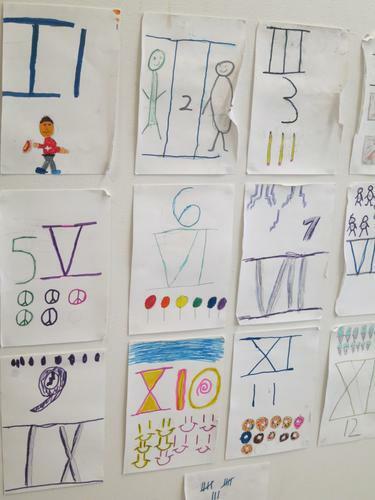 The 8s learn Roman numerals, a significant element of C&C life, with their own visual aids. The 6s create a restaurant in their classroom, complete with seating chart for the maitre d'. 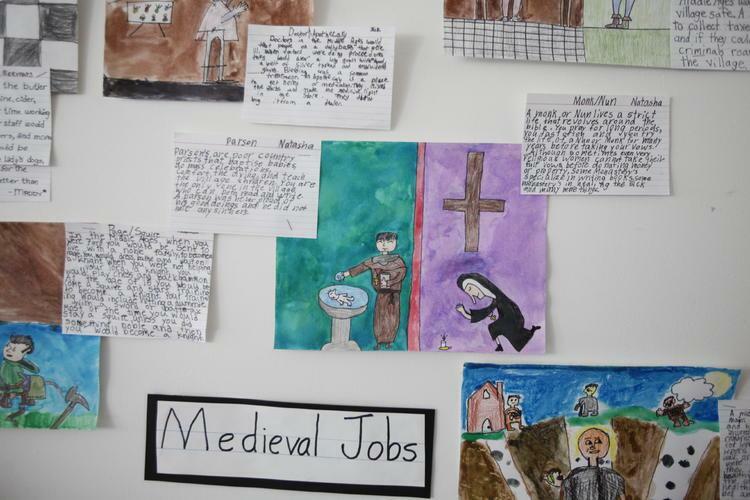 The 10s share their knowledge of medieval European societies through drawings and descriptions. Middle and Upper School students at C&C perform essential School jobs for each age. These jobs require a significant degree and range of work, including creating promotions, internal communications, work distribution and problem-solving techniques. 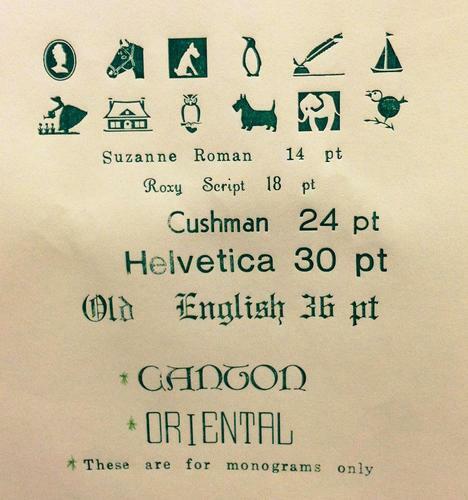 Many of these tasks utilize sign-making and design to get the job done. 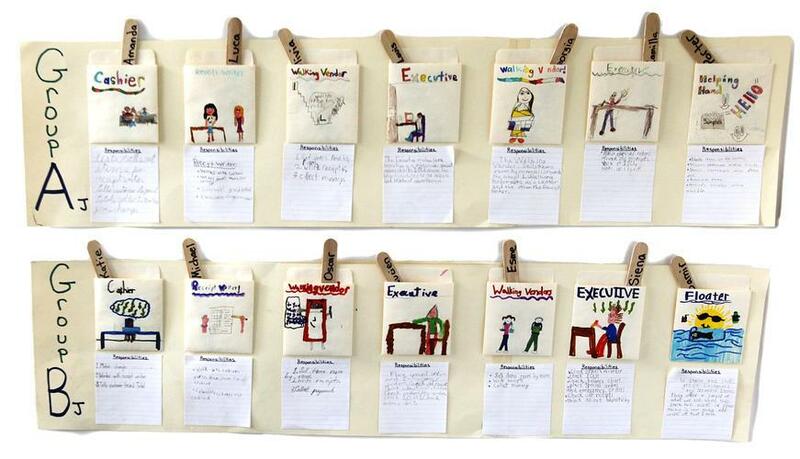 Job assignments made by the 9s for the efficient running of their Store, which supplies the entire school with classroom and office essentials. 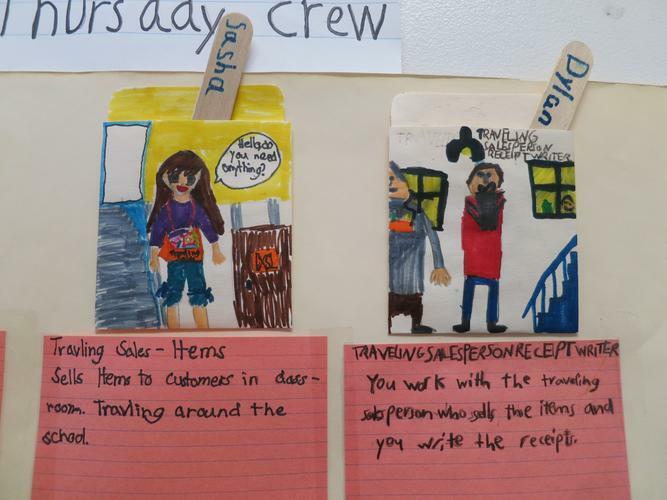 A detail of the 9s Store job chart explains the traveling salesperson and receipt writer jobs in pictures and words. The 8s design $0.07?stamps for their Post Office job. These drawings are reproduced as 1" stickers that community members purchase so their mail can be delivered throughout the School. The 8s create lists of rooms and buildings which helps them deliver school mail as part of their Post Office job. 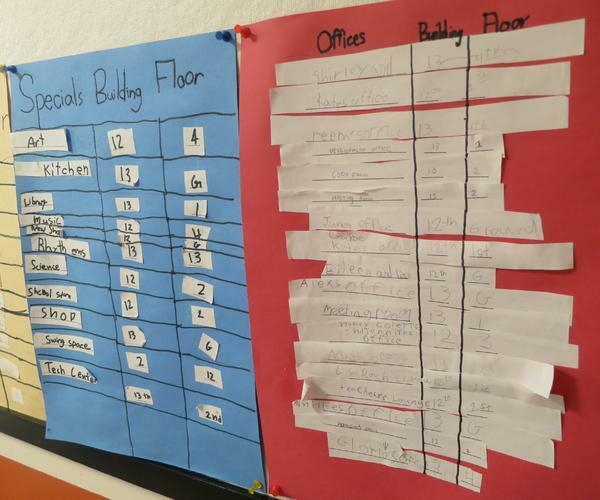 The 10s keep track of sign orders and billing through use of a detailed chart. The 11s display the fonts available for special print orders. Much of a C&C education is tied to exploring a concept inside and out. 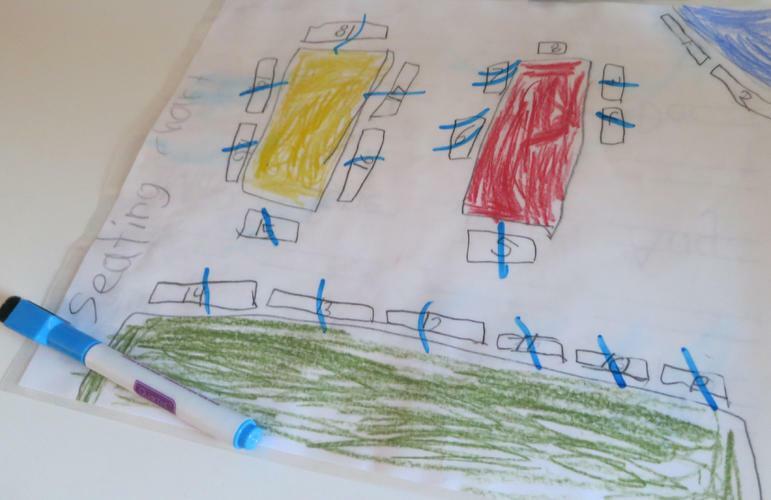 As children study a time and place in great depth, they inevitably explore the aesthetic of a culture and recreate it in their artistic and communications work. 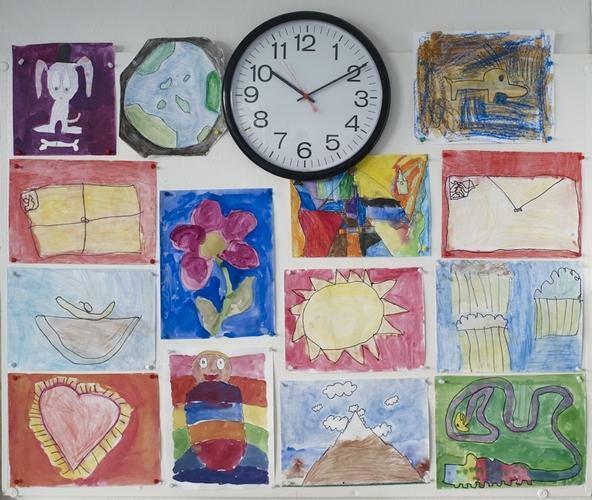 From hieroglyphics to coats of arms to furniture design, children manifest their increased knowledge in objects and art. 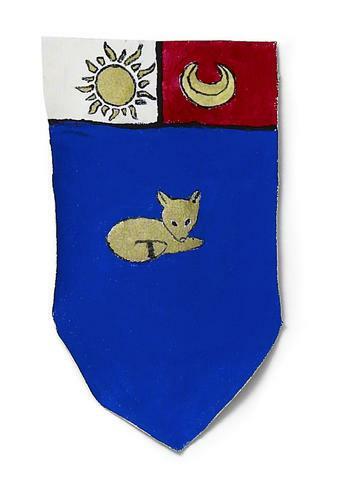 The 10s design coats of arms to display and share their in-depth knowledge of medieval Europe. The 10s replicate ancient Egyptian artifacts and symbols in a variety of formats. 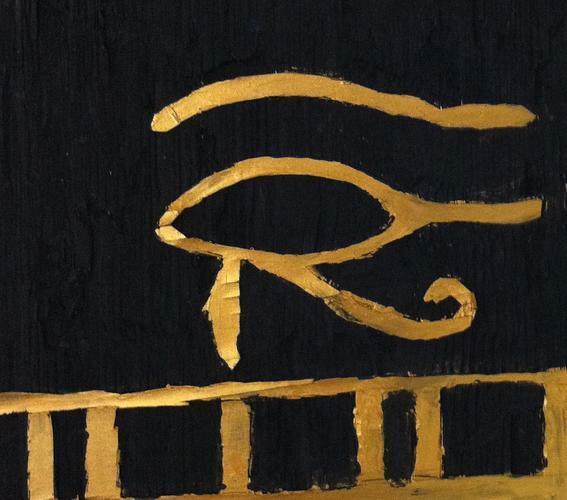 Here, the Egyptian Eye of Horus is depicted in a painted wood carving. 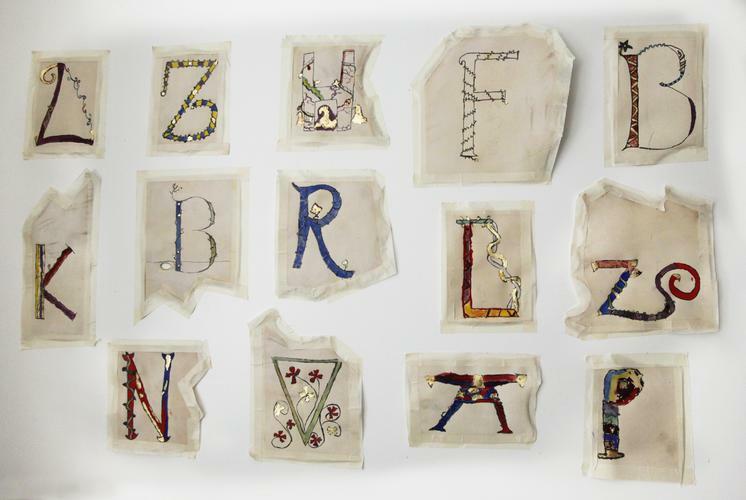 The 10s create illuminated letters during their study of medieval writing. The letters are shared with the rest of the School in a display that explains their significance. 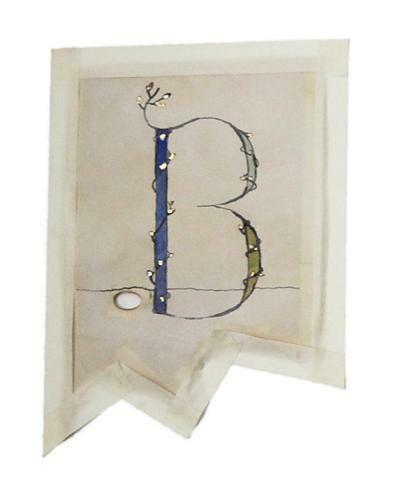 A detail of an illuminated letter. 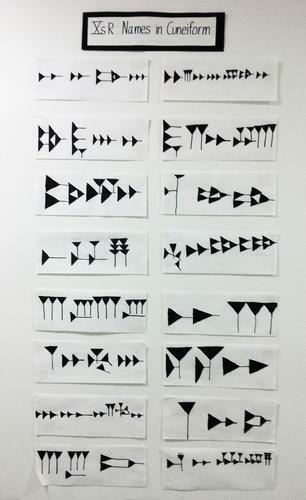 The 10s write and display their names in cuneiform while studying the advent of ancient writing systems. 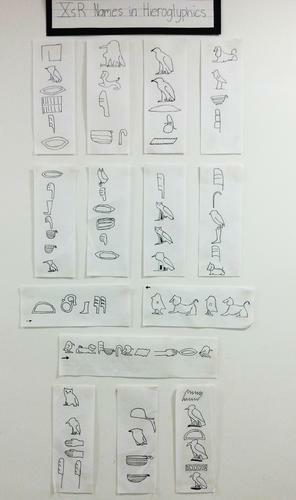 The 10s also write their names in hieroglyphics during their study of written communication and ancient Egypt. The 11s create and post formulas for custom printing press ink colors. 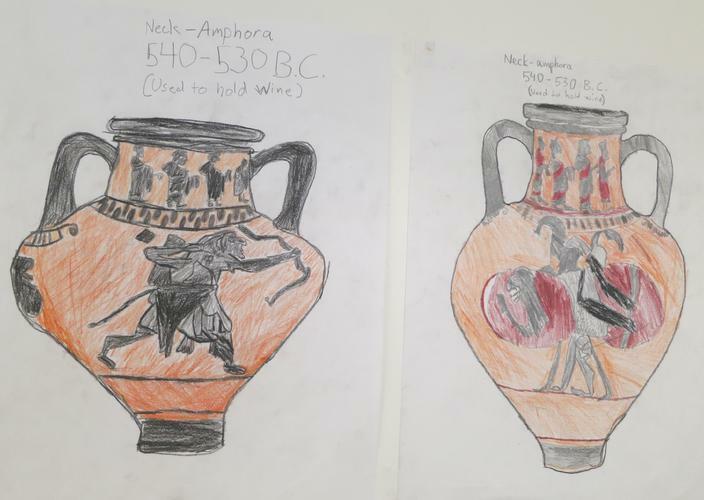 The 12s study Ancient Greece and replicate the style and designs found on iconic urns.